This cyber thriller is a turbulent story of electronic espionage that evokes strong emotional responses. 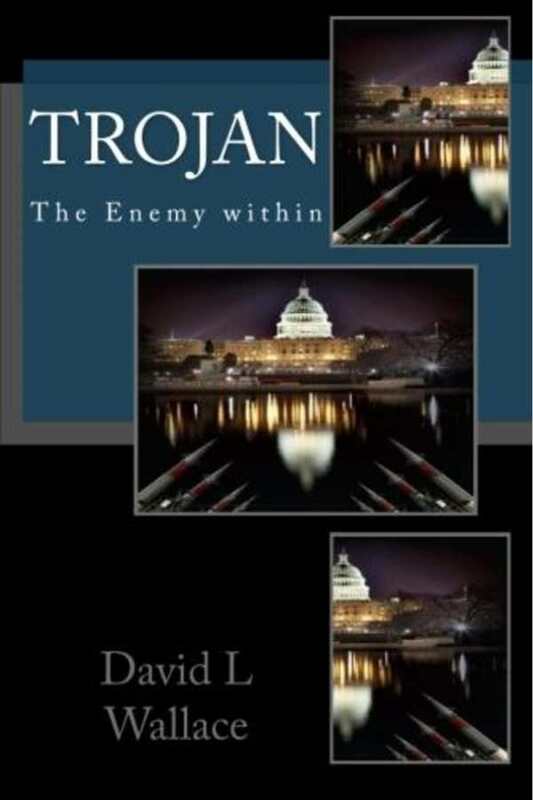 A cyber thriller set in the heart of Washington DC, Trojan: The Enemy Within is full of nonstop action, suspense, and mystery as one man fights to clear his name and protect his country from a hidden adversary. Inspired by his time at the Naval & Marine Corps Computer Science School in Quantico, Virginia, David L. Wallace creates a terrifyingly realistic glimpse into the future of national security, as well as a look at the staggering price of revenge. Though he was once a rising star in the president’s inner circle, Victor Walker’s work in the White House Computer Operations Center designing “counter-cyber espionage systems” becomes suspect when explosions rock the capitol and all signs point to infiltration from the inside. Labeled a traitor and terrorist, Victor must stay one step ahead of his pursuers while protecting his family and eliminating the threat. Action-driven from the start, the plot maintains high energy via confrontations, car chases, kidnapping, computer crashes, and races against the clock. Victor, an ex-military jujitsu expert and manager of “White House Computer Defense Armament Systems,” follows a tangled trail embedded in the net as he slowly unravels a deadly scheme and earns back the trust of his family, the president, and the country by combining brains and brawn along with action and technology. Facing off against the Secret Service with nothing but his own wits and a little help from a homeless Gulf War veteran, Victor, who is comparable to an extremely patriotic Jason Bourne, is an intriguing hero. Although capable and intelligent, Victor has made plenty of mistakes and bad decisions, too often hurting those closest to him in the process. The result is a protagonist who is both sympathetic and difficult to like at times. While it doesn’t take a specialist to appreciate the intricate computer operations and programming, Trojan is a techie book at heart. Some unresolved character development and romantic subplot complications add depth to the story line and a layer of emotion to counter all of the physical and cyber action. Add a conflicted wife, convicted felon, ninja assassin, and an amorous intern, and the result is an intense thriller. Retribution and family, both major themes throughout, are highlighted from various perspectives as the past and present collide in a complicated scheme, with some loose ends simply remaining loose. The bombing of national treasures and suspected Muslim terrorist involvement is very reminiscent of the events of 9/11. Powerful imagery evokes a strong emotional response. Trojan: The Enemy Within is a contemporary tale of suspense within a straightforward American thriller that features one man battling “the most diabolical and brilliant computer attack in his country’s history.” Wallace offers a turbulent ride ideal for anyone who loves the tech world and a good conspiracy theory.